The Bridge of Dreams is one of 125 covered bridges in Ohio, many of which are still in use today. 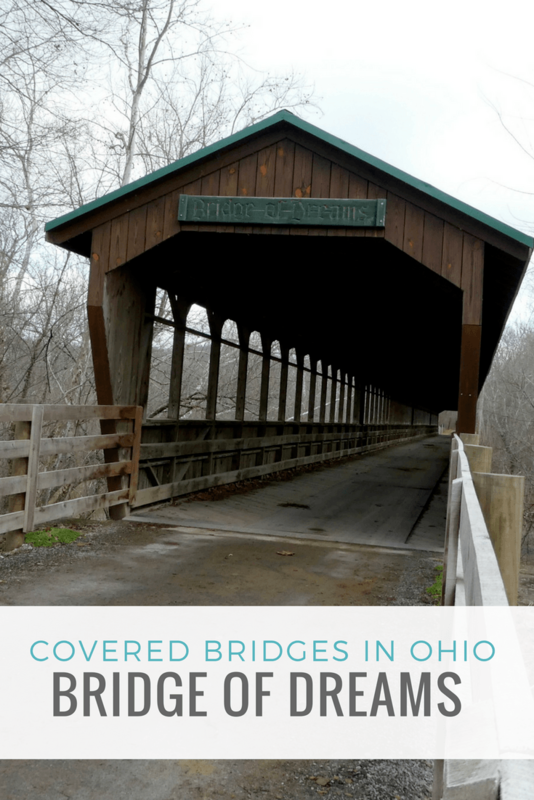 Spotting covered bridges in Ohio as one drives the scenic back roads is enticing for road trippers and photographers. 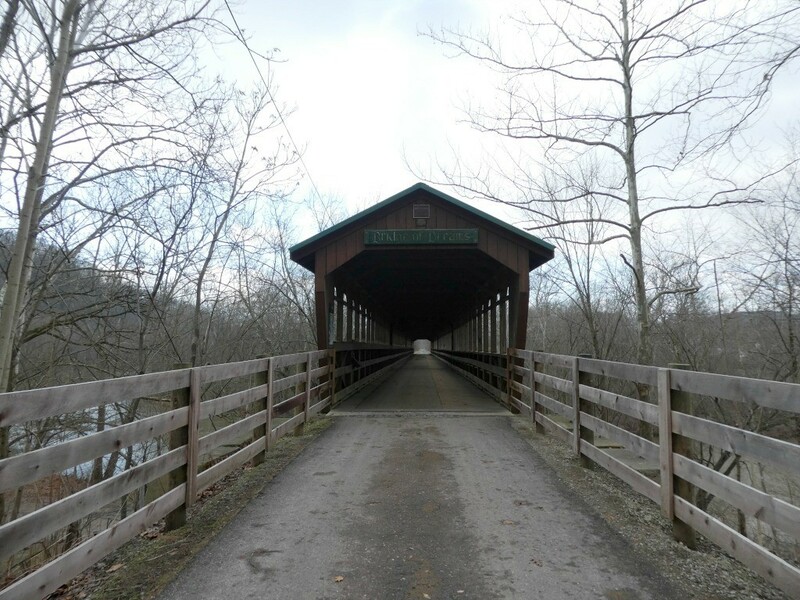 The Bridge of Dreams covered bridge can be viewed from State Route 62, spanning the Mohican River. At 370-feet long, the bridge once held the title of the longest covered bridge in Ohio. 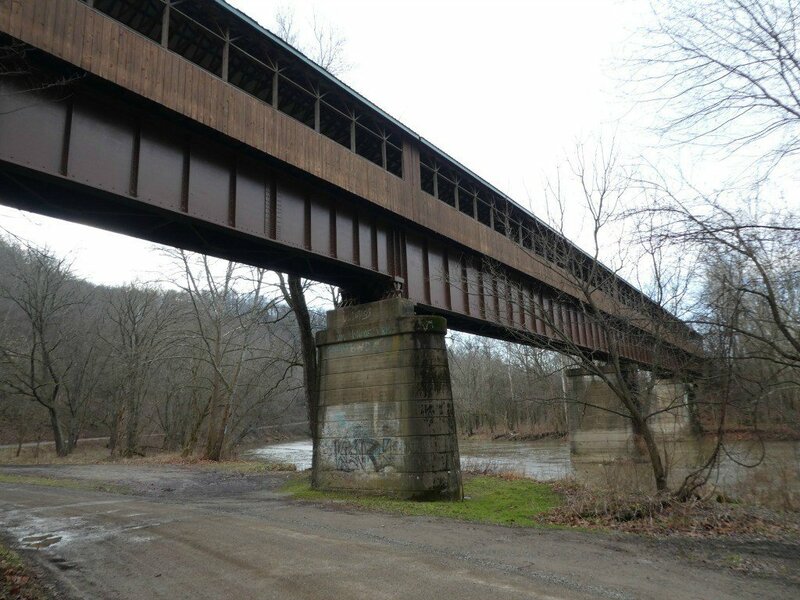 The title is no longer accurate with the construction of the Smolen-Gulf Covered Bridge in Ashtabula County. The longest in Ohio and second longest in the US, the Smolen-Gulf covered bridge spans the Ashtabula River at over 600-feet long. 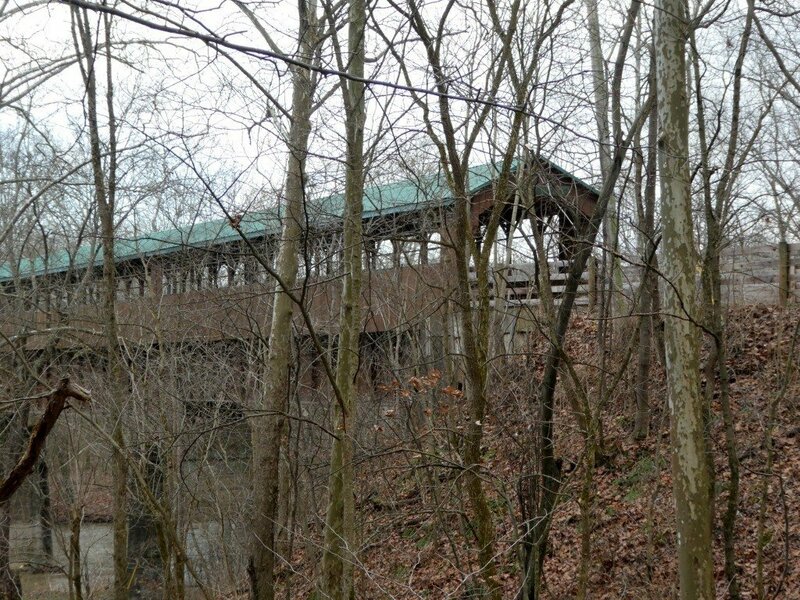 The Bridge of Dreams is located along the Mohican Valley Trail that runs 4.5 miles from Danville to Brinkhaven. 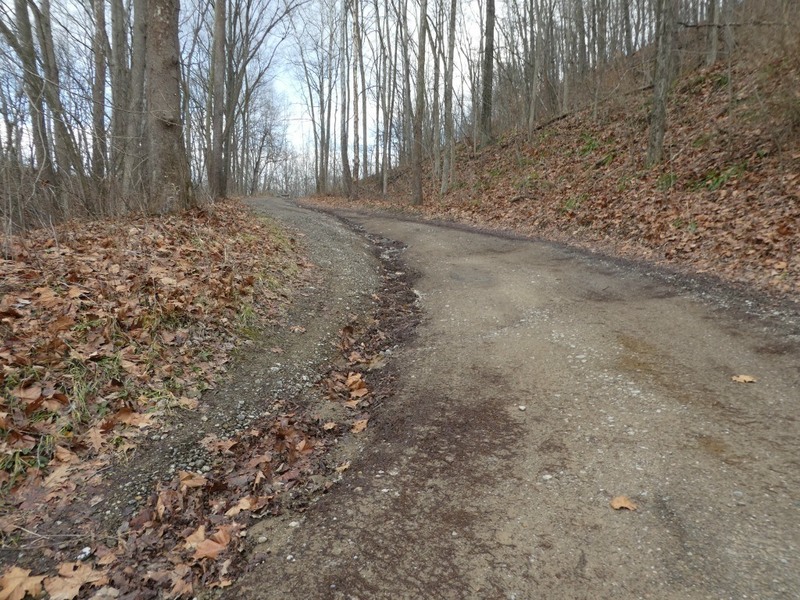 The trail connects the Kokosing Gap Trail and the Holmes County Trail in Knox County. Unlike other bike trails in Ohio, this trail allows non-motorized vehicles which include horse-drawn Amish buggies. The trail follows what was the Pennsylvania Railroad line. The Bridge of Dreams was originally used as a railroad bridge in the 1920’s and has been covered to make it a “covered bridge”. The ambitious project to cover the bridge was spear-headed by residents and met with many skeptics who believed the project would fail. This led backers of the project to name the project “Bridge of Dreams.” One could say the completion of the final project was a dream come true when it was completed in December 1998. 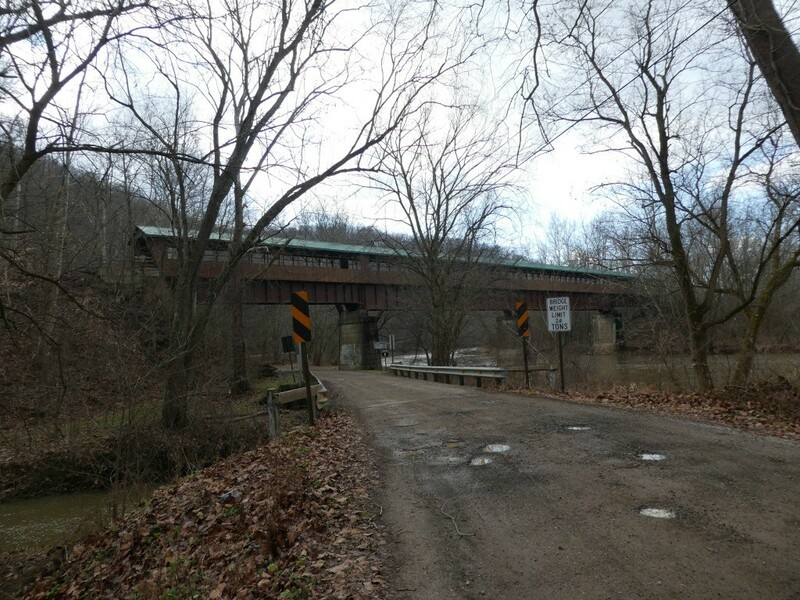 The bridge can be found at 16606 Hunter Road in Brinkhaven, Ohio 43006. 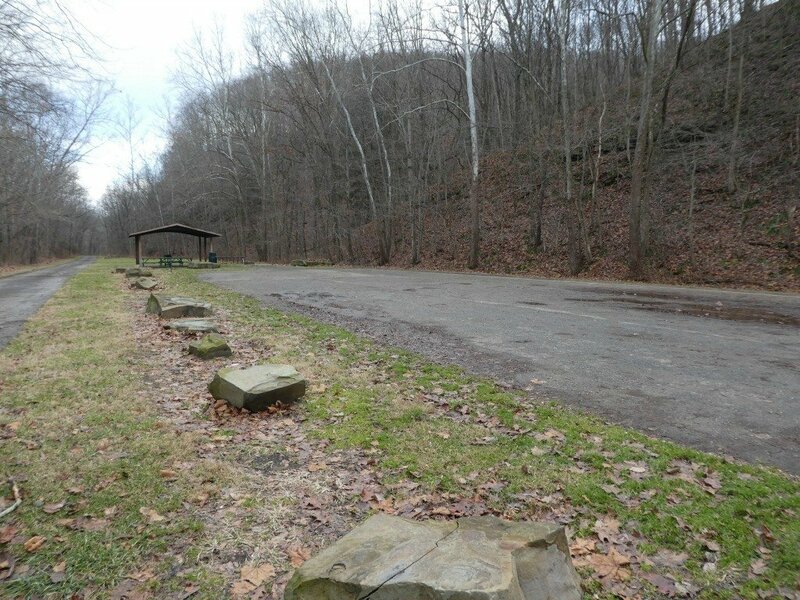 If you are traveling towards Brinkhaven on State Route 62, you’ll find Hunter Road (it wasn’t marked on my visit) after crossing the Mohican River. Turn right and you’ll see the bridge ahead. Ample parking is available under the bridge and at the trailhead. Once again, the trailhead is not marked. To reach the trailhead go under the bridge to the dirt road that goes uphill on the left. Warning, the path leading to the parking area was rough on our recent visit and best suited to vehicles that sit higher off the ground than a car to avoid the ruts. You’ll find ample parking and a picnic shelter but no toilets. Plan ahead and stop for a potty break before you arrive at the trail. This is a quick stop if you’re road tripping along Ohio’s back roads and need a place to stretch your legs. Be sure to click the button below to see more Bridge of Dreams Covered Bridge Photos. Thanks for sharing, Debbie! I’ll check it out! I love covered bridges. We sought out a few when we visited Massachusetts a few years ago. There’s just something sentimental and romantic about them… Especially the historic ones!